Welcome to Three Creeks Farm! 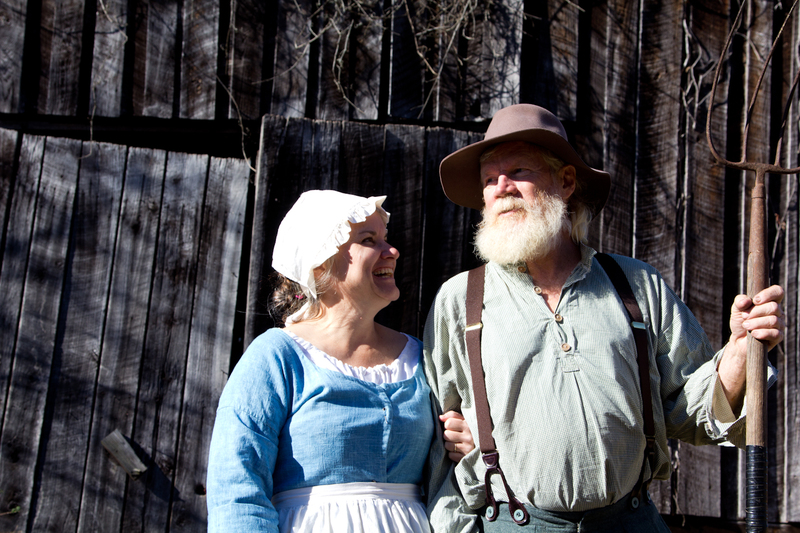 Three Creeks Farm is a small working farm in middle Tennessee located about 45 minutes west of Nashville. We raise Shetland sheep, Tennessee Fainting Goats, and various breeds of Bantam chickens. We also grow some dye plants that we offer for sale. We teach a wide range of classes and workshops including our popular blacksmithing, soap making, spinning, and felting classes. In addition to our scheduled classes, we’re also available for private classes for individuals and small groups — please contact us for more information. Steve is a blacksmith and does blacksmithing classes and demonstrations at local events and craft fairs. We sell his hand-forged ironwork and he does custom orders as well. Beth spins and felts wool from their sheep into yarn and felted items that is offered for sale in the gift shop, The Little Shop of Fiber. 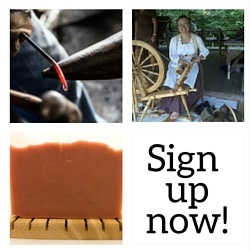 She also does demonstrations dressed in period clothing and teaches spinning and felting workshops and classes. We sell Kromski spinning wheels, Kromski Looms, Kromski accessories and supplies, a wide variety of felting fiber, dye, and hand cards as well as Earthues natural dyes and mordants. Three Creeks Farm started the Middle Tennessee Fiber Festival in 2007. Although we passed on the organization and management of the festival to others, we are still vendors. It is held annually on the Friday and Saturday of Memorial Day Weekend. The Fiber Festival Facebook page can also be found here. Dye Day is always a big hit at the farm! 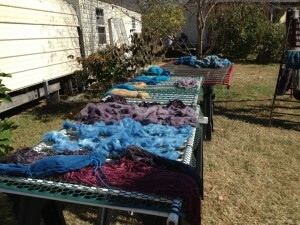 We hold our annual Dye Dye event here on the farm each fall. Bring your ready to dye yarn or wool, dye pots if you have them and a sense of adventure. I will have Earthues natural dyes for sale as well as mordants, wool and un-dyed yarn. We do not charge anything, but do ask for donations to cover the cost of propane. We will have a meal about noon, so bring a dish or desert to add. Wear weather appropriate old clothes that you don’t mind getting dye on.